Welcome. 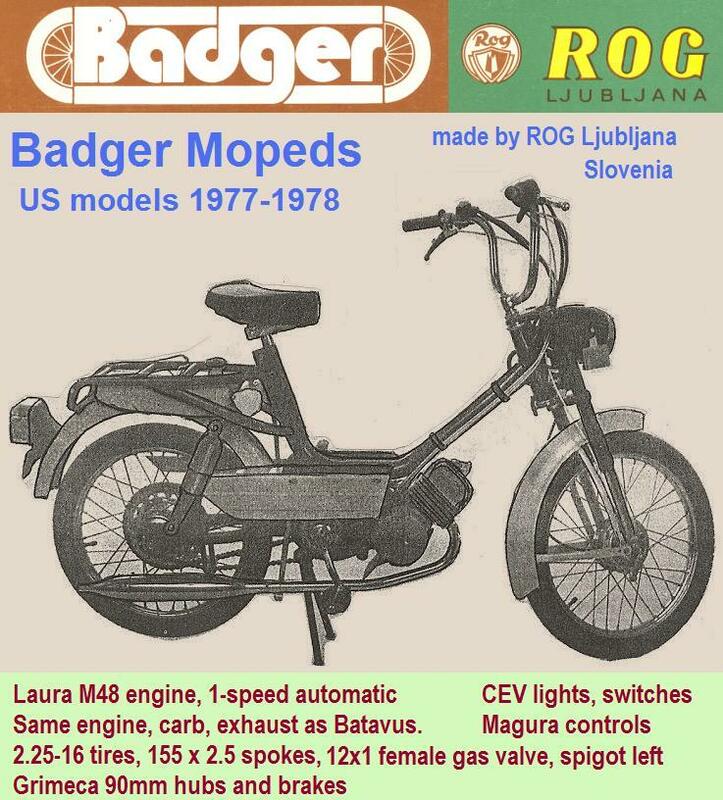 Badger mopeds were made by Tovarna Rog, in the city of Ljubljana, Slovenia, formerly Yugoslavia. There are many things the same as Batavus (Holland). The industrial use of the area and the building started in the year 1871 when the Janesch (Janež) tannery started to operate. After 1900, the tannery was bought by Carl Pollak who renovated and extended the factory building, and expanded the production. The rebuilt factory is the first example of (visible) iron-concrete skeleton construction in Ljubljana. The Pollack factory worked successfully until the economic crisis in the 1930s, when the company was placed under compulsory administration of the Municipal Savings Bank, because it was insolvent. The industrial building was in use during and after the Second World War, when the Rog factory started manufacturing bicycles and typewriting machines on site (1952). The last big renovations of the building and the construction of auxiliary facilities were carried out in 1953 and 1963. The Rog factory operated on location until the early 1990s when the bicycle production was closed. Part of the story that is not verified, was an earthquake struck the bicycle factory not long after the production of mopeds began, in the mid to late 1970’s. The earthquake destroyed most of the moped making equipment, and it was never replaced. So Rog moped production was brief. That is why Badgers are so rare in the US, because they were only made one year, pretty much. 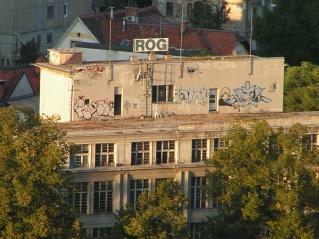 The abandoned 7000 square meter Rog factory was revitalized as a arts and cultural center in the 2000’s. 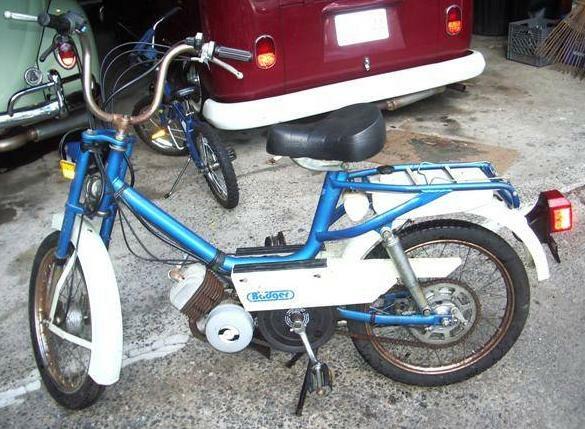 A rare photo of a US model Rog Badger moped. You are currently browsing the archives for the ROG category.